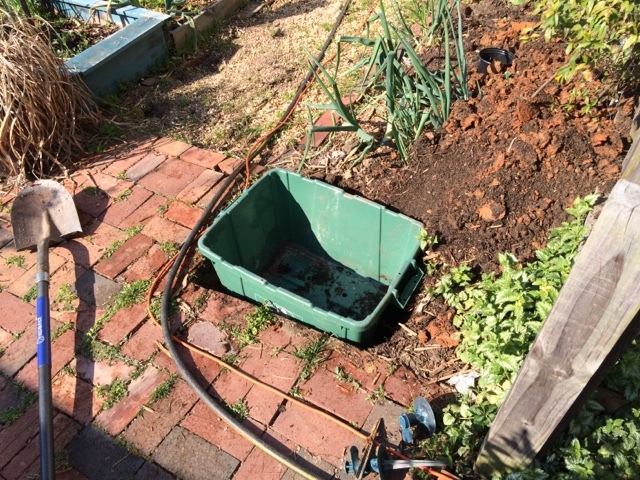 Today's project is making a worm bin or worm farm from the old city recycling bin. First I want to point out how lucky we are that our city collects recycling at the curb and provides bins. 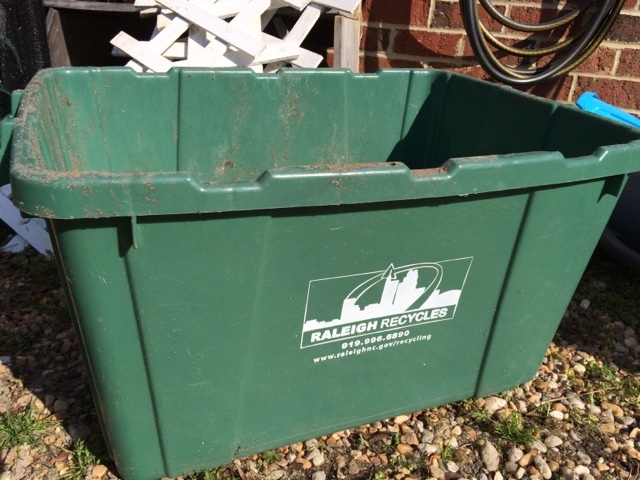 Raleigh upgraded to larger recycling carts a few years ago, and we hung on to the smaller bin. 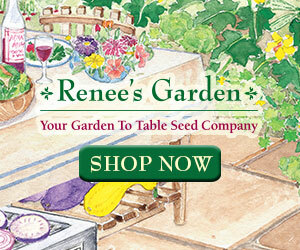 I've use it around the garden to toss in weeds, and the drain holes ensure that it doesn't get stinky after a rainfall. This morning when I moved it, I gathered a fistful of earthworms that were in the gravel under the bin. 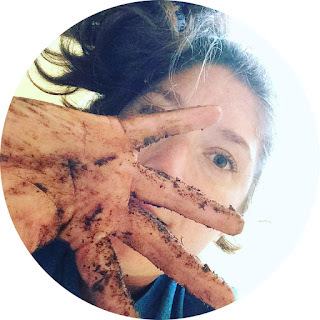 I put them in an old plastic planter with some soil and got to work on converting the bin to a worm farm. 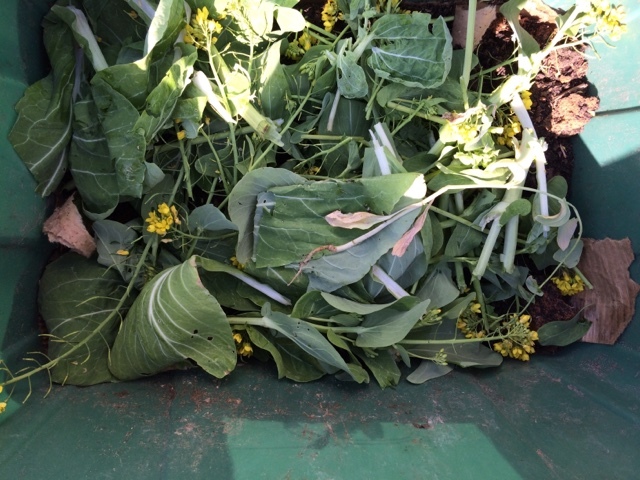 It is prominent location that makes it easy to toss in food scraps, coffee grounds and eggshells from the deck. 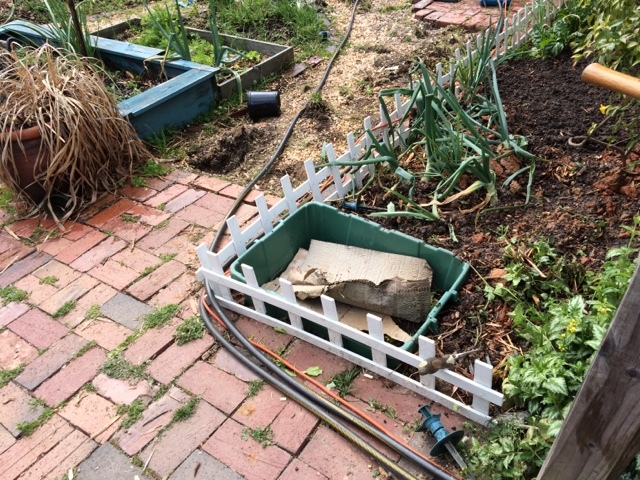 It sure isn't the prettiest feature of the garden, but it will be a reminder of all the good that healthy soil can do. 1. I selected a location that was convenient and noticeable so that I would actually use the bin. 2. 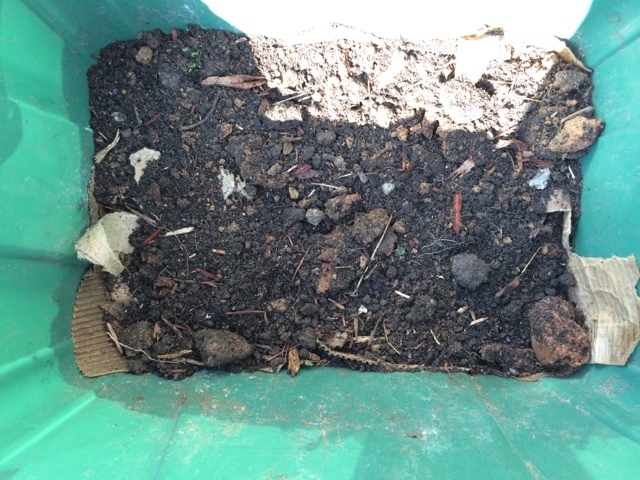 I dug a hole the size the bin so that I could recess the bin in the ground to keep it cool in the summer heat. 3. 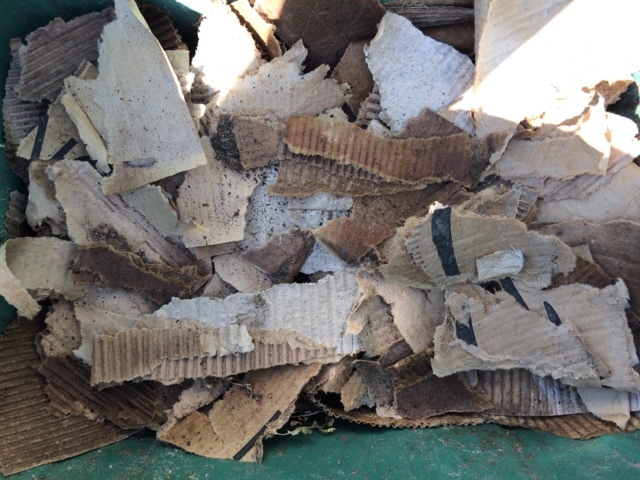 I pulled damp cardboard scraps from my compost pile and shredded it to line the bottom of the bin. 4. I covered the cardboard with a layer of dirt from what I'd excavated for the bin location. 5. I added fresh greens that had already bolted for food for the worms. 6. I emptied the planter of dirt and worms into the pile. 7. I lightly watered the bin and added another layer of cardboard for protection from the sun. The fencing spruced up the site. 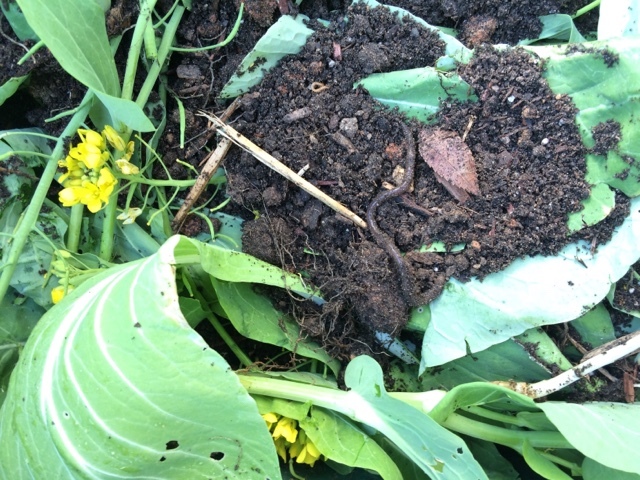 I grew worried I'd drowned the worms and not given them enough soil, so I put several more shovelfuls of dirt and another batch of new worms, fluffed up the pile and covered it again with the cardboard. Now that the bin is in place, I will make sure to add in food for the worms weekly and monitor it for moisture. There are only about 10 worms in there now, so I'll keep adding the family. 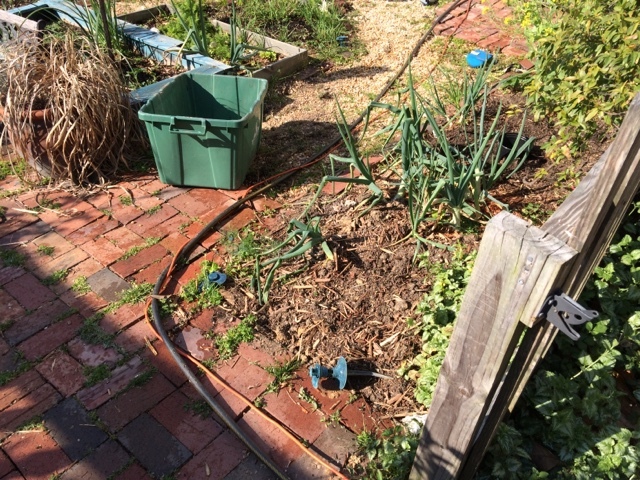 It will eventually fill up with composted soil to supplement the plants in the garden.